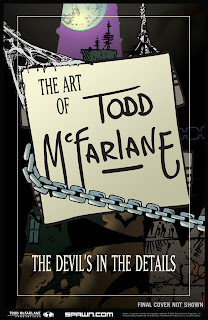 Image Comics have sent us a press release with details on The art of Todd McFarlane: The Devil's in the Details. Which is, believe or not, Todd McFarlane's first art book! If you're game enough, shell out the extra $35 bucks for the special signed copy which is limited to only 300! 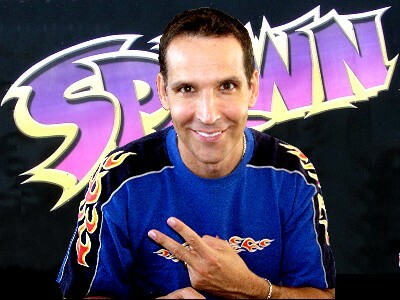 Berkeley, CA - 30 September 2010 - When you're writing your holiday wish list, don't forget to include THE ART OF TODD McFARLANE: THE DEVIL'S IN THE DETAILS -- Todd McFarlane's first-ever art book! This oversized hardcover showcases for the first time Todd McFarlane's unique art style, which forever changed the landscape of comic book art when he burst onto the scene in the 1980s. THE ART OF TODD McFARLANE features art from original comic art boards; rare, never-before-seen sketches; and images from McFarlane's work on Batman, Spider-Man and the Hulk (amongst many others), as well as McFarlane's own top-selling creation, SPAWN. The book also includes selected commentary by the artist himself. "This book is 20 years in the making and follows my decades of trying to learn this craft of drawing and comics," relates McFarlane. "I'm hoping this book will be an inspiration to young artists, not so much from my advanced pages, but from the raw, undeveloped drawing I entered the industry with. It took me quite a few years to go from adequate to someone who wasn't afraid of where the next job would come from. I'm hoping this art book shows the evolution of my style, and will be a positive message to those that have aspirations to be in this industry. I also hope it will be entertaining to those who have followed my career, seeing that I didn't come out of the shoot fully formed artistically." THE ART OF TODD McFARLANE: THE DEVIL'S IN THE DETAILS, a 300-page full-color oversized hardcover for $64.99 (OCT100465), will be in stores December 1, 2010. The regular edition will be limited to 5,000 copies while the signed and numbered edition, which retails for $100 (OCT100466), will be limited to only 300 copies. Don't miss your chance to get the perfect gift, whether for a loved one or for yourself!